One of the biggest hit singles that American Idol judge L.A. Reid wrote and produced with Babyface and Daryl Simmons was Superwoman. It was a US and UK hit single in 1989 for Karyn White. It's still one of the great R'n'B power ballads. Here is an amazing live performance cover version of Superwoman by Gladys Knight, Patti Labelle and Dionne Warwick. 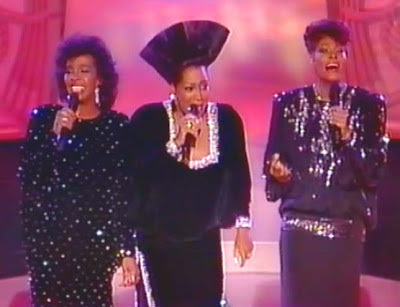 Oprah Winfrey, a big fan of all three of these female singing legends, looks on in sheer marvel. and here is the original version by Karyn White.